Nifty has continued its downfall. Some people have reported stop loss in strategy 1. In that case there is no point in waiting and hoping for a recovery. See the document – if according to rule you have to go to strategy 2 then go. Stick to discipline. 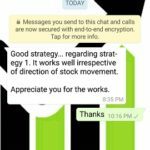 If the loss is less around 10 points only – there is no need to go to strategy 2 – just close your current strategy 1 and get into a more comfortable position. Some people are telling me that OI (open interest) is most in the 7700 Puts. After reaching there click on “By Contracts”. If you do not know what an open interest is then in short its the total number of open (or not closed) contracts. So basically right now (at this moment only) on the 7700 strike there are more number of open options & futures trades open than on any other strike. But the fact is, it is AS OF NOW. This may change in 1 hour. In that case what you do? Do you close your trade and again re-enter because what open interest is telling you? This in my book not a great way to trade. Fact is open interest does not work. When it works traders think that open interest did the trick, when it doesn’t they blame on other factors. More open interest means the market is expecting that Nifty will not break 7700 or even if it breaks – on expiry it will be above 7700 PE. Also note that I checked 1 hour before it was around 1 lakh+, now reduced to some 78,000+. Please bear in mind that OI will keep changing, which means basically you have to keep a tab on it. This is where I am not comfortable and rather stick to discipline. Well frankly no one knows what will happen on Monday – a gap up or a gap down? Therefore I would rather stick to discipline than go with the open interest. The point is if it breaks 7700 then the losses will accumulate pretty fast as 7700 will become ITM (In The Money) and delta of 7700 will become greater than .50. This situation must be avoided. Of course if you listened to me and got into a more comfortable position after the Bihar elections then I am sure stop loss is not hit and you are safe. In that case stay put and wait. No need to panic. Thank You: I think I got more than 100 wishes from you all on Diwali day. Really means a lot. Overwhelming Joy seeing your wishes. 🙂 Your trust on me gives a lot of satisfaction and motivation, especially in an industry where there is lack of trust on tips providers. Some messages were very interesting and some very motivating. Thank You All once again for the lovely messages. Will upload some of them in my blog. Of course your phone no or emails will be hidden. I take confidentiality of your personal information VERY seriously.